The 4-Hour Workweek exposed me to the idea of working on road. Although I’m pretty good at working remote, more instruction was needed on the traveling part. 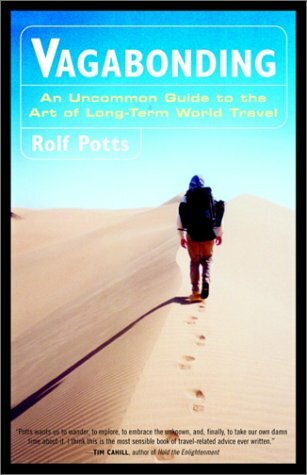 Vagabonding: An Uncommon Guide to the Art of Long-Term World Travel by Rolf Potts is a collection of essays and tips written for those considering living on the road. The book spends a good chunk of time explaining the difference between being a tourist and being a traveler. If you are considering packing a backpack and heading out for a few months (or years) but sure to read this book. The author also has a well-researched list of resources which are available on his web site.